The creation of O.A.T.Y.E., a not-for-profit organisation, Legal Entity of Private Law, has been an innovation for Greece, as it is the first conjunction of Health Funds and the first Federation of Mutual Health Funds in the country. O.A.T.Y.E. Statutes were confirmed in 1998, with the joint venture of the Greek Mutual Health Funds which became the institutional members of the Federation: T.Y.P.E.T. (Mutual Health Fund of the National Bank of Greece Personnel), A.T.P.S.Y.T.E. (Mutual Health Fund of the Bank of Greece Personnel) and T.Y.P.A.T.E. (Mutual Health Fund of the Agricultural Bank of Greece Personnel), as well as the participation of E.D.O.E.A.P. (United Press Organisation of Supplementary Insurance and Medicare) in 1999. The 4 member-Funds function according to the model of Mutualism and upon the principles of Solidarity and Democracy. Their Management is directly elected by their members and manages the financial and human resources of the Funds. They provide their members with effective, high quality insurance coverage, as well as primary and supplementary healthcare services. They, also, carry a wide experience in the Sector of Prevention. Their self-managed operation is self-proved, as they do not receive any social resources by the State. O.A.T.Y.E. has evolved through the cooperation and synergies among its member-Funds and its dynamic presence in the field of International Relations. It has developed a significant network with other European and international Mutual Health Funds, especially via its membership (and Vice-Presidency in the past) in Association Internationale de la Mutualite (AIM). The Greek Federation has, also, organised a number of successful medical conferences and seminars that received significant appraisal. O.A.T.Y.E. has unfolded a common conventional strategy towards signing collaboration’ contracts with major Private Medical Hospitals, Diagnostic Laboratories and doctors in Athens and the Greek district and has managed to reduce the cost of hospitalization. O.A.T.Y.E. represents the Third Model of health services’ management in Greece, in-between the Public and the Private Sector. It mainly aims to the rational utilization of the existing infrastructures, as well as the creation of new, for maximizing the quality and quantity of the services offered to the members of the Funds. At the same time, it is looking into equitable solutions in order to tackle the difficulties the health insurance sector faces in the country. O.A.T.Y.E. joins the AIM efforts towards configuration of the European Statutes for Mutual Benefit Societies. It’s acceptance by the European Commission will result in the legal and institutional recognition of the European Mutual Health Funds. By safeguarding its mutual, self-administered and independent model, the Greek Federation will keep-on all efforts aiming at the maintenance of the effective and high-quality insurance coverage and health services performed by its member-Health Funds, always focused on the good health and welfare of their insured population across Greece. O.A.T.Y.E., the first and only Federation of Mutual Health Funds in Greece, celebrates this year its 20th anniversary. With a dynamic presence and activity, both in Greece and at international level, as a full and active member of AIM, O.A.T.Y.E. has been working systematically all through the years, in order to preserve and promote the model of its Member-Funds, as well as highlight its connective institutional role. Relying on the values of Solidarity and Mutualism and having as a guide the principle of Democratic Management, in times of critical changes in the Social Security and Health Sectors, the aim of the current Presidium and the Board of Directors is to upgrade the organizational structure of the Federation and re-launch certain operational mechanisms which will optimize the synergies between member-Funds, safeguard their uniqueness and continue providing their insured members with qualitative and quantitative benefits. 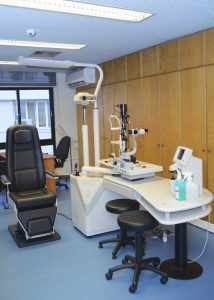 The federal creation of the Outpatient Clinic of Patras, already counting 16 years of continuous and smooth operation, recently housed in a new, modern and renovated facility, constitutes the epitome of a common vision among member- Funds for providing high quality primary care services to their insured population. O.A.T.Y.E.’s agenda is strengthened, among other things, with even more initiatives, being closer than ever to the establishment of a Mutual Pharmacy for disposing High Cost Medicines on the one hand, while regarding its expansion with a possible canvassing of other health insurance Funds under similar legal frameworks and which do not belong to the Unified Social Security Institution (EFKA). The necessity of O.A.T.Y.E. and AIM was clearly proved and confirmed in November 2018, after the immediate intervention against integrating our Funds into EOPYY (National Organization of Healthcare in Greece). The successful policy and participation in AIM, ever since O.A.T.Y.E. was established, has essentially contributed to the even functioning of the Funds. Defending our Funds and our Federation is a matter concerning all of us and not just the Board of Directors. Because they are the “children” and “property” of us all. We invite you to make use of the provided healthcare services, as this has been the purpose of our existence, as Mutual Health Funds and as a Federation, and the reason of our struggles for decades. Your support, both by using the existing structures and benefits, as well as your feedback, are most valuable to us. President of the Board of Directors Ο.Α.Τ.Υ.Ε.